Welcome to Week #7 of our Fiber Arts Fiction Friday (FAFF) series! 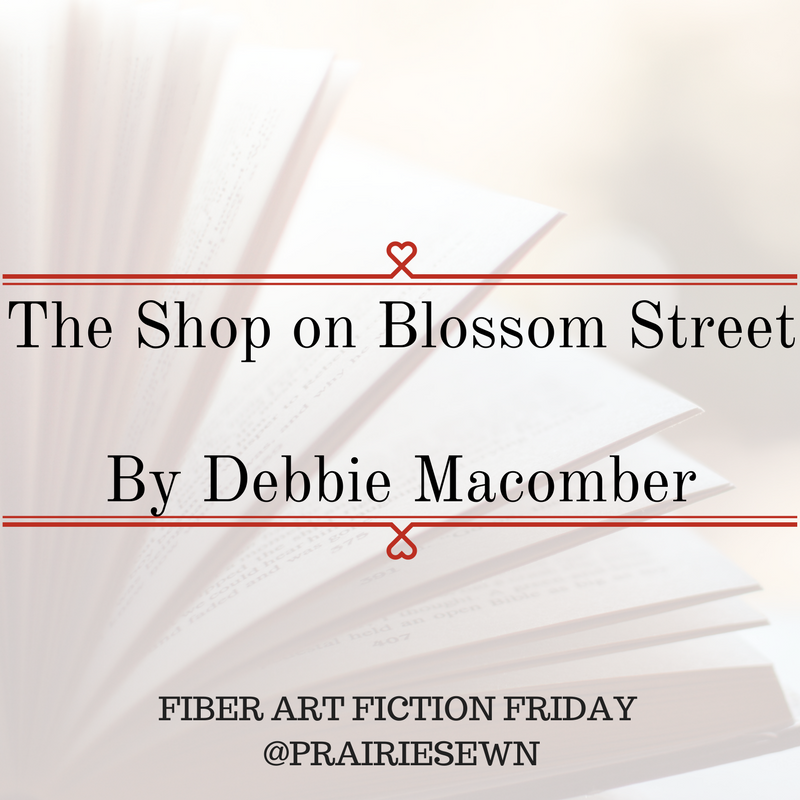 This week we’re back to knitting as our fiber art with The Shop on Blossom Street by Debbie Macomber. The Shop On Blossom Street tells the story Lydia Hoffman opening her own yarn shop in a quaint neighborhood in Seattle called Blossom Street. Lydia’s beaten cancer twice, and has put all of her eggs (financial and emotional) into A Good Yarn. Lydia begins a knitting class for beginners, and we get to know the four VERY different women in attendance. Each one is there for her own reason, but the journey they take throughout the books demonstrates how you don’t always end up where you think you’ll be. Lydia’s yarn shop serves as the perfect backdrop to this shared experience of friendship, camaraderie, differences and reconciliation. I always enjoy Debbie Macomber’s books more than I think I will. Although I found some of the characters a little over-the-top with their emotions, her writing makes it easy for me to close my eyes and pretend I’m on Blossom Street.I reread the book to write this post, and discovered that being as I’m at a completely different stage of my life than when I first read The Shop on Blossom Street 10 years ago, I strongly identified with a different character this time around. We really do change as the years go by!